With so many studies documenting the benefits of music relative to math, science, literacy, and spatial reasoning, it’s not surprising that many parents are eager to provide their child with a jump-start in musical education. 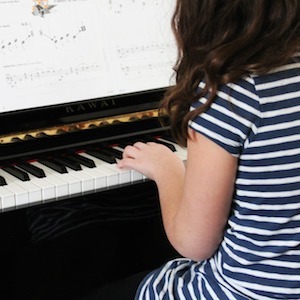 However, before you run off and sign on the dotted line for private lessons, consider the factors that will influence the long-term success of your child’s musical instruction. There’s no one-size-fits-all formula when it comes to kids, so when parents try to pin me down about a specific age for starting lessons, I always ask lots of questions. I want to provide parents with food for thought, so they serve the best interests of their child. Unless that child is ready, even the best teacher and unlimited amounts of money will not make him into an accomplished musician. One of the first things to consider is the age of your child, both chronologically and developmentally. Along with that I ask about a child’s small and large motor skills, and coordination. I’ve seen preschoolers — hardly beyond the toddler stage — play tiny quarter-size violins, so I can’t say that its’ not possible for very young children to play an instrument. However, in the long run very young students rarely outpace their peers who start a few years later when their motor-skill development is more refined. When I try to explain the reasons behind waiting until a child is truly ready for lessons, I frequently use the analogy of trying to teach a very young child to ride a two-wheel bicycle. I suppose that with the help of training wheels or other learning “props,” a substantial number of spills, and time, some children may learn to ride a little bit sooner than their peers. However, youngsters who learn later have an improved sense of balance and better developed coordination skills and they have the foundation to make an easier and more natural transition from trike to bike. Another factor parents need to consider is the maturity level of their child. If your child has difficulty sustaining attention while reading or in an instructional setting, or doing any other activity that requires concentration, then the focus required for a one-on-one lesson and home practice may become an issue. Basic reading skills are a must, as your child must be able to track music on the page. Learning to read music is very similar to learning a new language, where symbols represent individual and combined sounds. That’s a fairly abstract concept for a young child. Basic math skills, such as additional and subtraction, are also required for understanding the various fractional combinations of note values, eighth notes and so on. 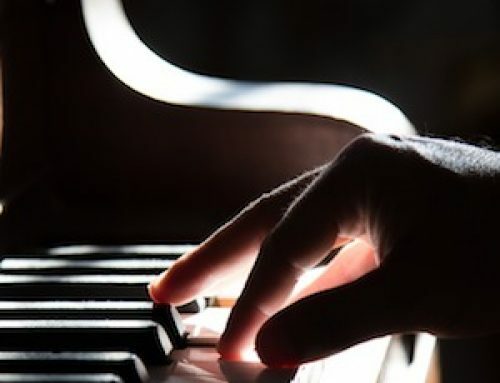 The ability to process more than one concept at a time — something that can be difficult even for adults — is another prerequisite for learning an instrument. For example, when playing the piano, one reads notes from left to right, like reading a book. However, if the notes progress in descending order (high to low), the hands will move in the opposite direction of the notes on the page. In other words, the eyes read the notes from left to right, but the fingers more from right to left. In my many years of experience teaching both children and adults, this is one of the most challenging concepts to teach and learn. Finally, motivation is another very important factor in music instruction, and I always ask whether the desire to learn to playa musical instrument comes from the child or the parent. Hopefully, the answer is “both.” However, while parents are able to appreciate the future “rewards” of the process, very young children usually cannot. That’s a big reason whey the dropout rate for very young children who begin private lessons is relatively high. Motivation to continue working and learning has to come from within, and the child must enjoy the process. If it sounds like I discourage private musical instruction early on, I must admit that more often than not, I suggest parents wait. In many public schools the average starting age for string instruction is fourth grade. Woodwind (which includes clarinet, flute, etc.) and brass (trumpet, trombone, etc.) instruction are usually introduced in the fifth grade. These are probably the right times for lessons. 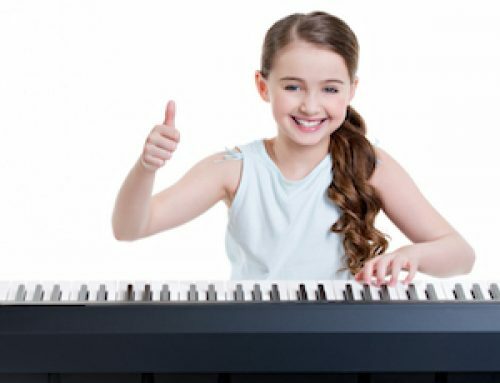 My general experience is that children who are developmentally ready to begin music lessons will experience a greater rate of success, more satisfaction with the process, and have a greater likelihood of continuing on with the lessons for a longer time. But all this does not mean you should deprive your young child of exposure to music. Not by any means. If your child is not ready for private music instruction, but shows interest in music, there are many respectable group classes that provide wonderful learning experiences at a developmentally appropriate level. These programs offer a variety of musical activities that provide a strong preparatory foundation for music skills, such as singing and movement activities, and games. These activities develop awareness of melody, rhythm, and steady beat, and provide opportunities to experience playing a variety of non-pitched and pitched percussion instruments, experimentation with sound, and exposure to a variety of timbres and musical styles. Remember, musical learning experience start from birth — or perhaps even before birth, in the womb. A newborn can hear, and babies can mimic sounds. 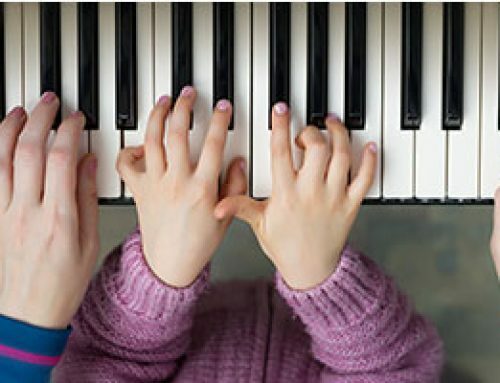 In the early months of your child’s life, you — the parent — are your child’s first music teacher. Play many styles of music at home and in the car. Make a musical soundmaker with your child, or use your imagination to find existing household objects with which to make music. As your children grow, attend concerts geared to young children. Keep your eyes on the TV guide for musical offerings for kids throughout the year. And finally, even if you think you sound like a foghorn and have two left feet, sing and dance with your child often. Make music an adventure! Used with permission from Family Magazine Winter 2002 issue. Rosalie Karalekas is a music specialist for the Salem-Keizer School District in Oregon. She has been involved in education for more than 30 years, and is a published author, songwriter, and lecturer.